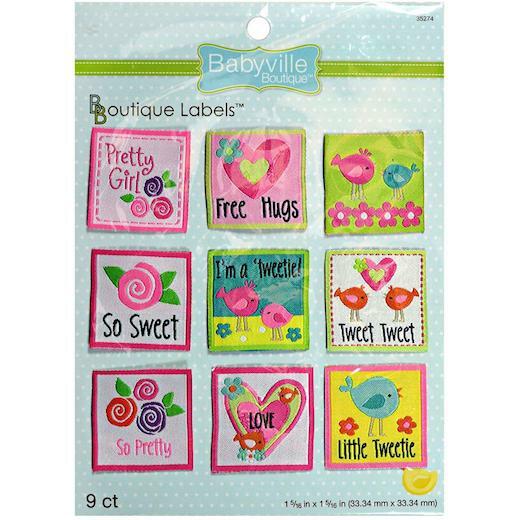 Babyville Boutique Labels can be sewn into diaper covers, baby apparel, craft and nursery projects to provide a professional finishing touch. Machine wash, tumble dry medium heat, do not bleach. This package contains nine 1¼ x1¼ inch labels: one each in nine designs.